America: Land of the Free except for when using the internet. 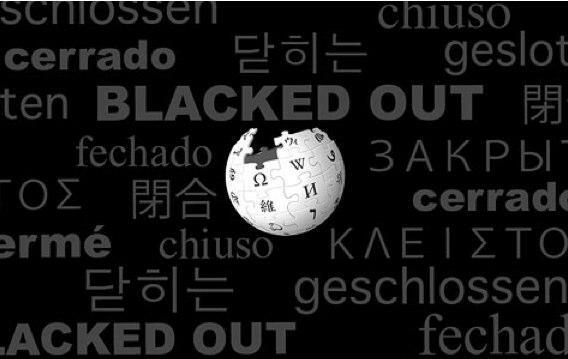 On Wednesday, Wikipedia is shutting down it’s english language site for 24 hours to protest against SOPA (Stop Online Piracy Act). The new American policy potrays itself as protecting the innocent from harmful pirate websites (no not the ‘shiver me timbers sort’) that can supply counterfeit or unlicensed material, what it is really doing is legitimising censorship. Individuals, web host, web links can all lead to prosecution under this law; the wording is so vague it will encompass anything a lawyer sees fit. Wait a minute wasn’t the First amendment meant to protect freedom of speech etc, but I’m sure the bill of rights is easily distorted when it comes to a multi million pound industries. The second amendment is avidly backed by the NRA who are in turn backed by firearm manufactures; and I’m sure SOPA is backed by the movie and music industry. Most people I know who download music or movies, still contribute to that industry by buying music, DVD and going to concerts, cinema’s. I can understand the desire to stop people selling unlicensed medication on line, but surely the way forward is to examine thereasons why people want to do this. Unfortunately to have freedom there are always those who will exploit it, but surely the way to stop it is to educate people not to support it. 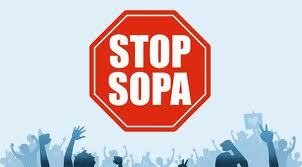 SOPA is simply a means for the already wealthy corporations to get even more wealthy without a thought to what the implications may be. They are no longer content with a controlling influence on political systems, they now want to control cyberspace as well.